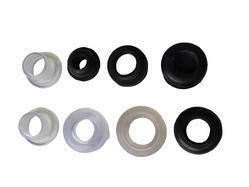 Pioneers in the industry, we offer rubber grommet, drip irrigation grommet and natural grommet from India. 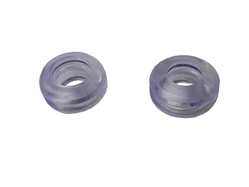 We manufacture high-quality Rubber Grommet made from natural, nbr, neoprene, silicone, Viton rubber. We offer a dimensionally stable range of rubber products. Available in both standard and customized specifications, our products find application in automobile, chemical, food and various other engineering industries. Use of high-grade raw material such as butyl, nitrile, silicon and more provide high tolerance rate to the components. They also undergo nitrile, EPDM, butyl, fluorocarbon and various other tests to ensure the high level of flame retardant, tolerance, and conformity with ISO & other international standards. We are offering PVC Grommet to our client. We are offering Natural Grommet to our client.